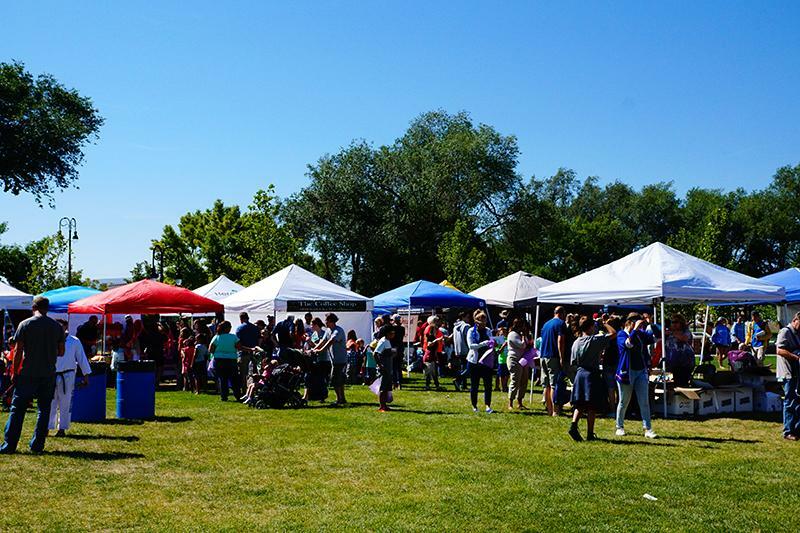 All Riverton-based businesses and organizations are invited to participate in the annual What's Up in Riverton fair on September 15 from 9 a.m. to noon at the Riverton City Park. ﻿For more safety tips for both drivers and pedestrians, click on the link below. 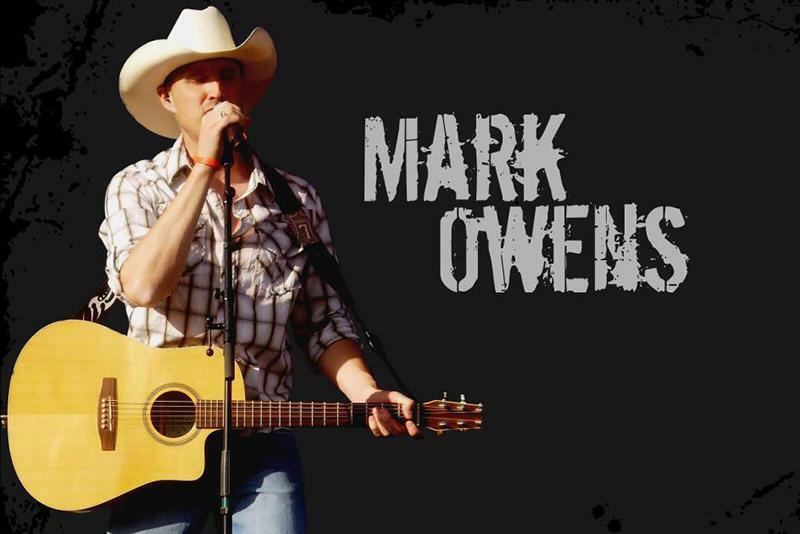 Mark Owens, a local favorite, is the featured performer at Riverton City's final concert in the park on Sunday, August 26, at 6 p.m. at the Riverton City Park. The concert is free and open to all. Attendees are encouraged to bring their own lawn chairs or blanket. The event will be held at the south end of the park near the small pavilion. Click here to learn more about Mark Owens. 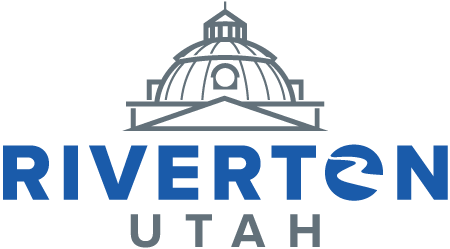 Have you downloaded the Riverton Connect app yet? If not, click here . 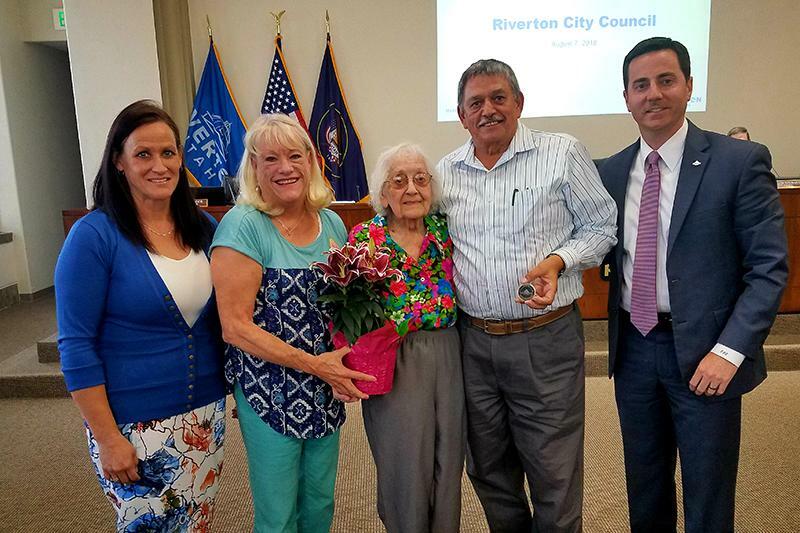 Sadie Bailey, Riverton's newest centenarian, was honored by Mayor Trent Staggs and Councilwoman Tricia Tingey at the Riverton City Council meeting on August 7. Sadie recently celebrated her 100th birthday with family and friends. Know a Riverton resident turning 100 years old? Let us know by emailing Anna Murphy at amurphy@rivertoncity.com . About every two weeks, Riverton Mayor Trent Staggs records a video meant to inform residents about the latest happenings. To view the most recent Mayor's Minute, click here. The Archuleta Vocal Academy for children age 3-18 is designed to encourage vocal learning and development through fun and structured classes. Classes begin on September 5. Click here for details or to register. Purna Yoga has started in Riverton. Classes are held every Monday evening, except for holidays, from 6:30-7:30 p.m. in the music room at the Sandra N. Lloyd Community Center. Cost is $10 per class or $40 for a 5-class pass. To learn more, click here . 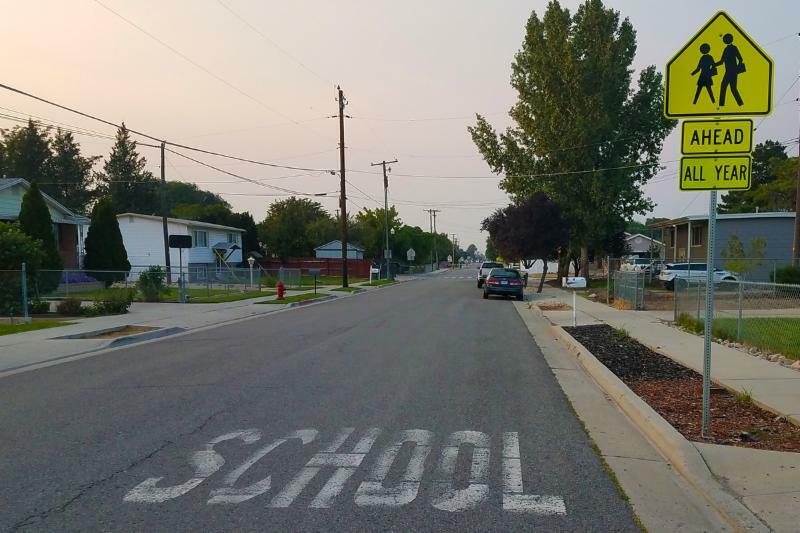 What's Up in RIverton is a long-standing tradition that brings Riverton-based businesses, branch offices, service organizations and city service departs together to spotlight what the city has to offer. Business or organizations interested in having a free booth need to fill out this application . Questions may be directed to Brittany Parker at bparker@rivertoncity.com . 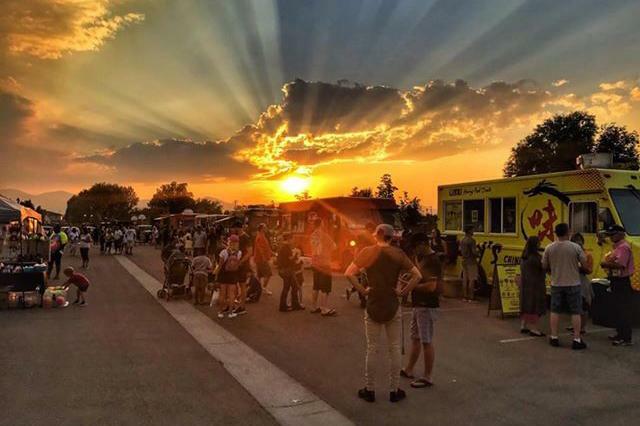 Friday, August 24, 6 p.m.
Join us for the last Friday Fun Night of the year for a trifecta of of excellent Friday night activities: 1) Food Truck Frenzy, 2) Home, Hand and Harvest Market, and 3) Movie in the Park: A Wrinkle in Time. The movie will begin at dusk (9 pm). Be sure to bring your own lawn chairs or blanket! YOGA FOR KIDS - STARTS MONDAY! Yoga can help your child find balance between busyness and stillness. This four-week workshop will take a playful approach to yoga, and includes games, storytelling and songs. In the process, your child will gain an awareness of their body and emotions. August 21 – City Council Meeting – 6:30 p.m.
August 23 – Planning Commission Meeting – 6:30 p.m.